It’s the Holiday period and we have more gifts for you. After our ARK: Survival Evolved PlayStation 4 contest, we’re turning to PC gamers with this one. 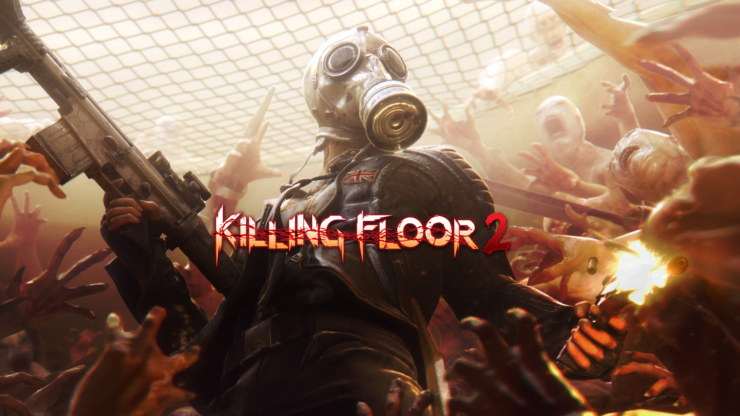 By entering the Killing Floor 2 giveaway, you’ll have a chance to win one of ten Steam codes for the full game developed by Tripwire Interactive. Even with the ongoing Steam Winter Sale discount, the value of this Killing Floor 2 giveaway is over $200. The contest will last one week. On December 30th we’ll draw the winners and contact them via e-mail, so make sure to provide a valid address. Good luck! Killing Floor 2 recently released on PC and PlayStation 4 after a lengthy period of Early Access. Kai reviewed it for us, rating it 8.5/10. As a cooperative experience, Killing Floor 2 makes no attempts to hide what it truly is: a Horde Mode with persistent progression. A special Versus mode adds a second option to pit players against one another with one side taking control of the enemy Zeds but I didn’t have the opportunity to find a single match during my review. In my few days of being able to experience the game for myself, I still have the craving to keep coming back for one more Survival match anytime I get home from work. Surviving the Specimen onslaught won’t be easy to handle on your own, so if you’re looking to get the most out of Killing Floor 2, you’re might want to bring some friends. Fans of horde modes in their shooters will find plenty of reasons to keep coming back to Killing Floor 2, although the experience is substantially better with a group of like-minded friends. If you’re a fan of gore-filled shooters, this game is a must. The PC version also supports Steam Workshop, so you’ll find plenty of player-created maps, weapons, skins and more for additional longevity.